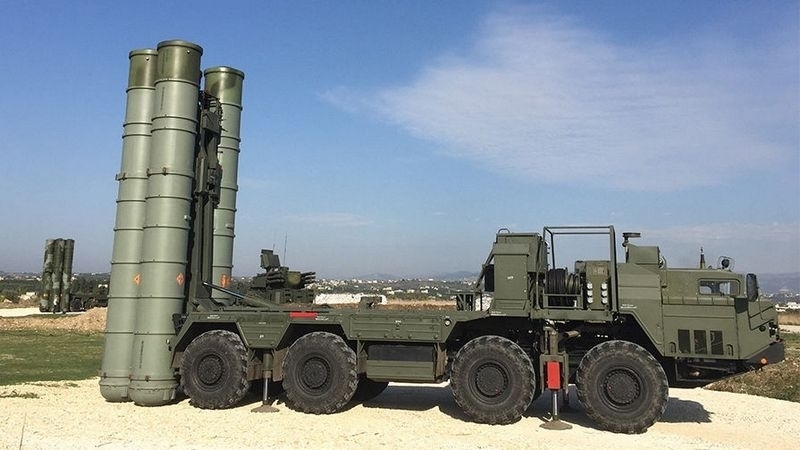 The task of the second S-400 battalion is "to timely detect and, if necessary, destroy air targets from Ukraine"
Russia will use anti-aircraft missile systems S-400 Triumf in the occupied Crimea for "protection against air threats from Ukraine." The Russian edition reported that the task of the S-400 second division is "to timely detect and, if necessary, destroy air targets from Ukraine, which are a threat to the Crimea." The second S-400 division is located in occupied Sevastopol. Its task is to control the airspace over Chongar and Armyansk, where the checkpoints of the unlawfully established borderline are situated. The Russian Federation states that an echeloned air defense system is being formed in the occupied Crimea, since cruise missile tests are being conducted in Ukraine. QHA reported that the two divisions of S-400 surface-to-air missile systems will be used by Russian occupation troops in the occupied Crimea in the early days of 2018. Lieutenant-General of the invader- country Viktor Sevostyanov specified that the divisions were already in the territory of the temporarily occupied peninsula. The long-range S-400 Triumf air-defense system was designed and manufactured by Almaz-Antei Concern. It is intended to defeat strategic and tactical aircraft, ballistic missiles, hypersonic targets and other air assault weapons in electronic and other forms of counteraction. The system is capable to reach aerodynamic targets at ranges up to 400 km, and ballistic targets flying at speeds up to 4.8 km / s at altitudes of several meters to several tens of kilometers at a range of up to 60 km.